This is the Aaru Campaign !! 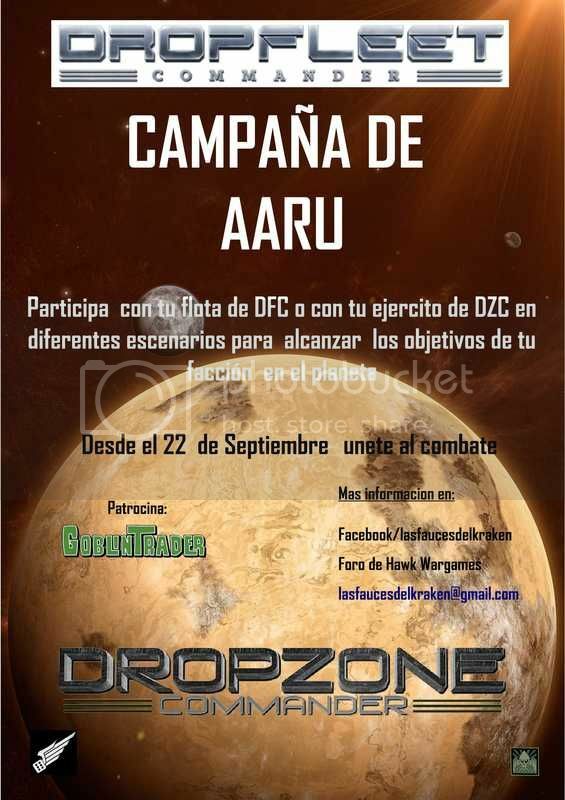 An event that combines DZC, DFC and DZC-DFC matches through a series of 6 rounds in which each faction team must decide the movements of armies and fleets on a dual campaign map (spaceand planet surface). Their decisions compel them to fight each others in custom scenarios. Each faction has an initial number of points to configure the number of fleets and armies and the size of the fleets and armies they want. They can not change forces during the campaign, except for the losses they support and the reinforcements they received. The rules is in spanish, of course; if anyone is curious about it I can try translate it as soon as possible.